We, the International League of Peoples’ Struggle, are inspired and invigorated as an anti-imperialist and democratic global alliance and movement by the celebration of the 70th anniversary of the Victory over Fascism at the conclusion of World War II in 1945. We salute and honor all the people who suffered the onslaughts of fascism and fought back to obtain a great and glorious victory against fascism. Tens of millions of people lost their lives in the course of aggression, occupation, repression and resistance. The decisive victory at Stalingrad and the Soviet counteroffensive spelled the defeat of German fascism in Europe and helped the defeat of Japanese fascism in Asia. We are determined to emulate the martyrs and heroes and to stand vigilant and ready to fight the forces of imperialism and resurgent fascism. The restoration of capitalism in major socialist countries has emboldened the US, the NATO and other imperialist forces to impose the neoliberal and neocolonial policy of unbridled greed and whip up state terrorism and wars of aggression. The absence of socialist countries as powerful as those in the Soviet Union and China in the time of Stalin and Mao, the relentless worsening of the crisis of global capitalism, the protraction of global depression and the rise of war production and militarism are pushing the escalation of the imperialist struggle for a redivision of the world. 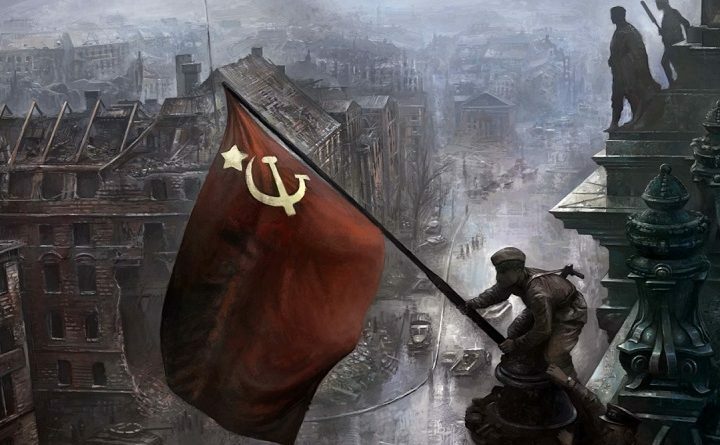 The victory over world fascism and militarism in 1945 impelled and propelled the rise of several socialist countries and national liberation movements on an unprecedented scale. But alas the forces of modern revisionism corroded the principal socialist countries and converted them into capitalist countries. The imperialist forces now impose neocolonialism and neoliberalism on the people of the world, as if without end. But the people of the world who suffer the extremes of oppression and exploitation inflicted by the imperialists and reactionaries are steadily fighting back in all continents of the world and generating the progressive and revolutionary forces of national and social liberation. We, the International League of Peoples’ Struggle, welcome all anti-imperialist and democratic forces to our ranks and are ever willing to cooperate with all positive forces that oppose imperialism, fascism and militarism. We are confident that the severity, depth and wide scale of the protracted crisis of the world capitalist system and the rampage of state terrorism and aggressive wars will ultimately lead to the resurgence and new victories of the revolutionary cause of national liberation and socialism.